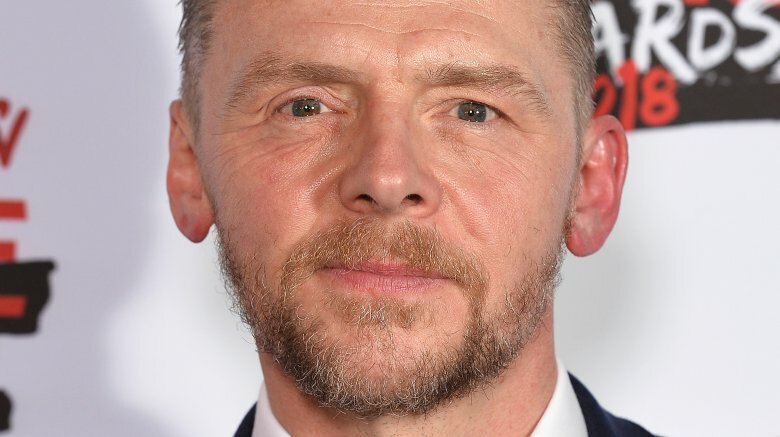 Simon Pegg is opening up about his past. In a candid interview with The Guardian, published on Monday, July 9, 2018, the Mission: Impossible — Fallout star spoke about his longtime struggle with depression and alcohol addiction. "When I watch that film back, I can see where I was then, which was fairly lost, and unhappy, and an alcoholic," he began, in reference to 2006's Mission: Impossible III. "It was awful, terrible. It owned me." As the Shaun of the Dead star noted, his "crisis years" in the mid-2000s coincided with a time when his career was really taking off. "I would feel like — I'm in a film with Tom Cruise, I've got the part of Scotty in Star Trek. This should be making me feel happy," Pegg said. "But it wasn't." Thankfully, the 48-year-old actor eventually took his first step toward recovery by quietly seeking treatment in rehab in 2011. "I don't think I would be here now if I hadn't had help," he continued, explaining that he hopes his story might motivate others who are facing similar struggles to get the help they need as well. Pegg isn't the only celeb to recently open up about their battle with addiction and journey toward sobriety. Demi Lovato, who has spoken openly about her struggles with mental illness and substance abuse over the years, seemed to hint at a recent relapse in her new song, "Sober." The 25-year-old pop star, who had celebrated six years of sobriety in March of this year, apologized to her parents and fans on the track, which was released in late June. "I'm so sorry, I'm not sober anymore," she sang in the chorus, before promising to seek professional help. Meanwhile, Selma Blair reached a major milestone late last month — two years of sobriety — following her longtime struggle with depression, anxiety, and alcoholism. "2 years sober. 2 years feeling everything and nothing. 2 years of extreme gratitude and humility and grace," the Legally Blonde star shared on social media at the time. She added, "I prayed for a miracle at my lowest points. I am a living miracle. Thank you."